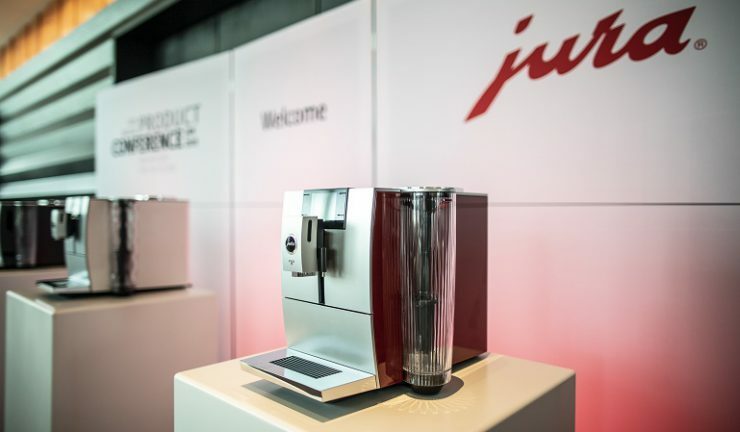 ‘Small, stunning, simple’ is how Jura describes the new ENA 8 coffee machine – one of three new machines unveiled at the Jura Asia Pacific product conference in Melbourne last week. At just 27.1cm in width, 32.3cm in height and 44.5cm in depth, the machine can fit comfortably in any kitchen. A key design highlight is its round water tank inspired by premium crystal carafes with a unique pattern and cylindrical shape. It will be available in three colours: metropolitan black, Nordic white and sunset red. The 2.8-inch TFT display and clear operating panels makes the machine easy to use. The ENA 8 also features RFID technology to detect whether the new Claris Smart mini (30 litres) or Claris Smart (50 litres) is being used and adapts the settings accordingly. There are 10 different specialities to choose from. The Pulse Extraction Process (P.E.P.) optimises the aroma for a short ristretto or espresso and fine foam technology creates feather-light milk foam for cappuccino or other specialities. The ENA 8 will also be available as a world-first automatic speciality coffee machine with a solid 3mm aluminium housing as part of the Signature Line. 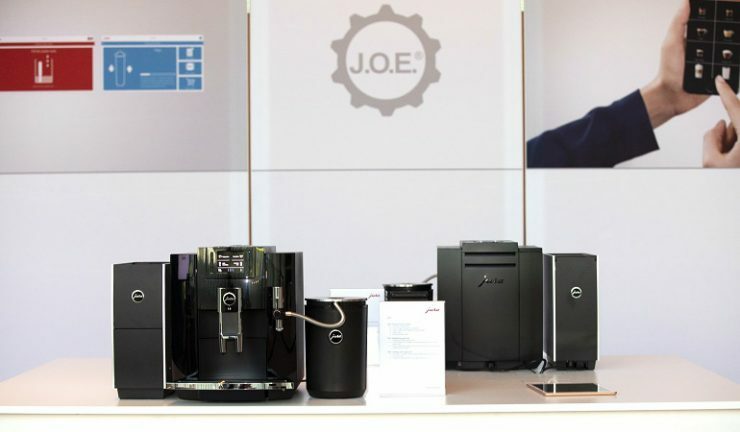 The E8 – Jura’s most successful automatic coffee machine with 100,000 units sold globally in 2018 – has undergone a facelift with a more sophisticated design and greater variety of specialties. The new professional fine foam frother is made from high quality materials with a stunning look and feel and intuitive operating concept. In addition, the water tank sports a premium ridged design and there is a new chrome-plated cup grille. The machine now prepares a total of 12 different specialties including macchiato, espresso doppio, special coffee and hot water for green tea. With the new Jura Z6, artificial intelligence (AI) is finding its way into the operation of the coffee machine. 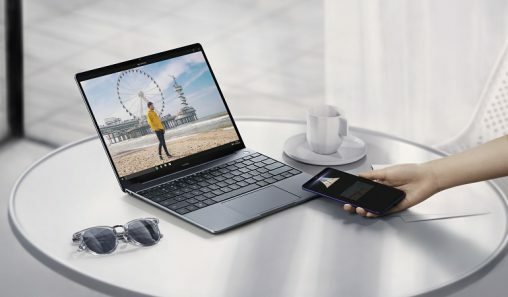 The Z6 identifies personal preferences and adapts the start screen on the 3.5-inch TFT display automatically. There are 22 specialties on offer at the touch of a button and the newly developed fluid system allows long barista specialities and espresso doppio. The machine houses a new professional aroma grinder that achieves 12.2% more aroma and consistently high grind quality over the entire service life. The diamond black design is complemented by the grooved water tank and chrome-plated coffee spout. Jura’s new milk accessory, the Cool Control, keeps milk at the ideal temperature of four degrees Celsius for the whole day to ensure freshness, hygiene and perfect results. Wireless communication between the Cool Control and automatic coffee machine, plus the newly integrated level indicator, means the user is reminded when the cooler needs to be topped up. Milk can be added quickly and easily without needing to remove the milk container. The digital temperature display and push-on aluminium cover, provide easy handling and maximum convenience. All components that come into contact with milk are dishwasher-safe.